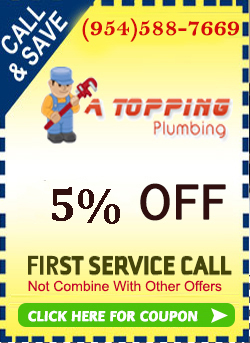 "Providing quality plumbing services to All Fort Lauderdale ,Broward and West Palm Beach. If you are having problems with sewer lines moving slowly, then you may need to have them cleaned out. Jet rodding, or hydro jetting is the means of cleaning your sewer pipes through the use of high intensity water. Hydro jetting helps cut through grease and debris in your sewer lines and may be the answer to sluggish flushing and draining problems. We provide you with state-of-the-art hydro jetting procedures that allow us to clean all debris from your pipes, resulting in them running as if they are brand new. While your plumbing system is designed to carry waste and debris downstream, sometimes they just become clogged with grease, hair and other debris. Using a hydro jetting process, we start at the end of your plumbing lines and force debris out. This process is used when traditional plumbing techniques such as mechanical rodding and plungers are not correcting the problem. I NEED A PLUMBER NOW! CopyRight © 2016. A Topping Plumbing . All Right Reserved.